Ronald McDonald House Charities of Alabama is grateful to Alpha Tau Omega at UAB for their great efforts raising funds for us this fall! 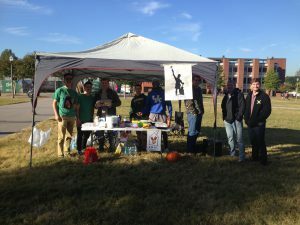 The fraternity raised $800 through a series of events held the week of Halloween. For the first fundraiser, the members cooked and sold fresh pancakes on the campus green to students as they walked to class. 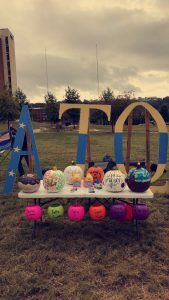 Then, they teamed up with sororities on campus for a pumpkin decorating contest. Students were encouraged to vote for their favorite pumpkin by making a donation. Then, the fraternity held a Cuts for a Cause day. Certain members asked for donations and if they met their goal, they shaved their heads! These events are even more special to us because Hernly’s family stayed at the Ronald McDonald House in Birmingham when his nephew had open heart surgery. He says his mother wanted to be close to the hospital to help Charles’ sister and brother-in-law, but was struggling with how to pay for a hotel. 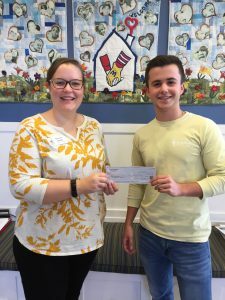 RMHCA appreciates Alpha Tau Omega’s efforts and hopes that their success inspires other groups to hold their own fundraisers. Visit our Community Fundraisers page for even more ideas and please remember to register your event with our staff!